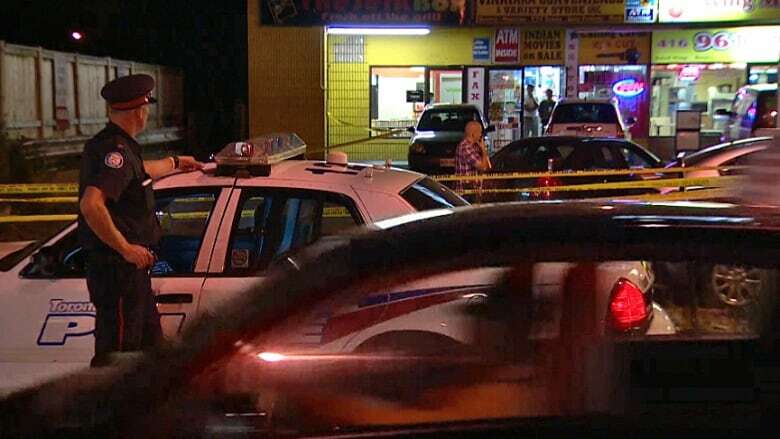 A man has died after being shot in the Jane Street and Lawrence Avenue area on Monday evening. Toronto police say they were called to the scene at 6:24 p.m. They found a man at the scene who had "apparent firearm injuries." The man was transported to hospital, where he succumbed to his injuries. Sgt. Brad Fisher told CBC News that investigators are hoping to speak with people who were at a nearby bus stop when police arrived at the scene. "I would suspect that these people would have observed something," he said on Monday night. Anyone with information is asked to contact investigators at 416-808-7400. Information can also be passed on anonymously through Crime Stoppers at 416-222-8477. As of last Tuesday, the city had seen 122 shootings since the start of the year, according to preliminary statistics posted on the police website. That's down about 17 per cent from the same time last year.